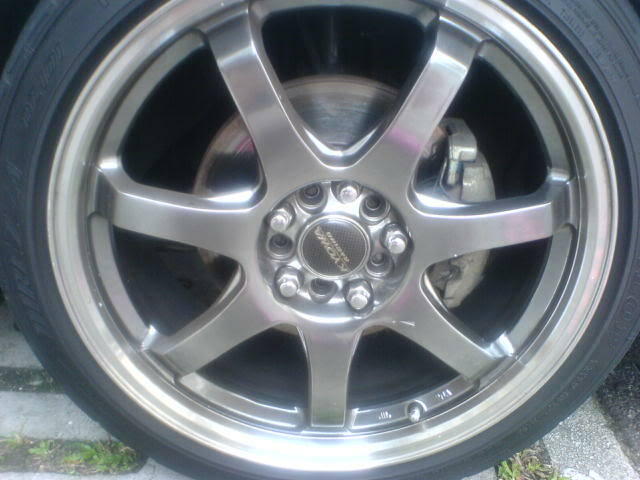 2) 18" Dual PCD Replica Mugen GP Racing rims with 2 pcs of Dunlop Direzza DZ101 and 2 pcs of Continental Sports Contact 2. Both sets of tyres 225/40/18. 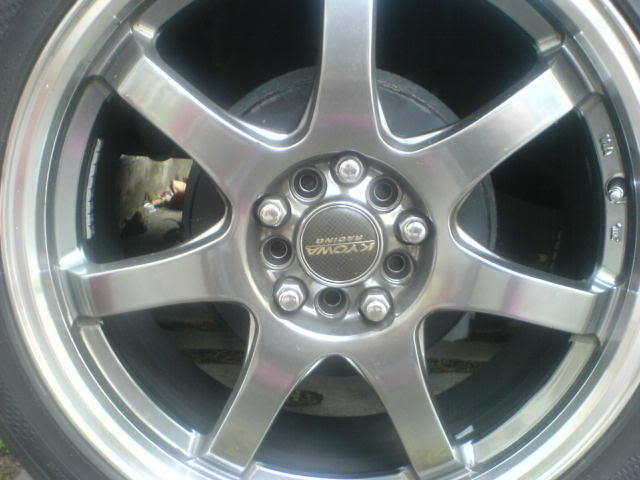 2 of the rims slight kerb rash and can be fixed at $25 per pc. Selling for $800 with swap of 16" stock rims and tyres. Exchange for other designs also possible and price can be worked out. 3) 2 pcs of 225/45/17 CSC2 with 65% thread left. Manufactured date XX06. Selling for $180. 2 pcs of 215/45/17 Federal 595s with 90% thread left. Manufactured date XX09. Selling for $180. Take all 4 for Selling for $350. 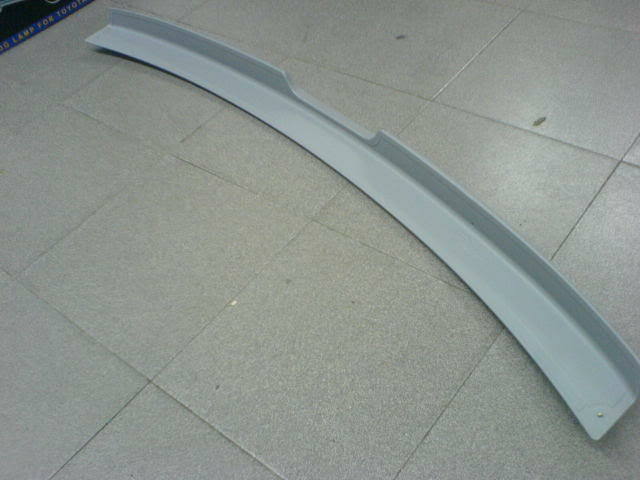 4) Used Mazda 3 SP front bumper. Selling for $100. 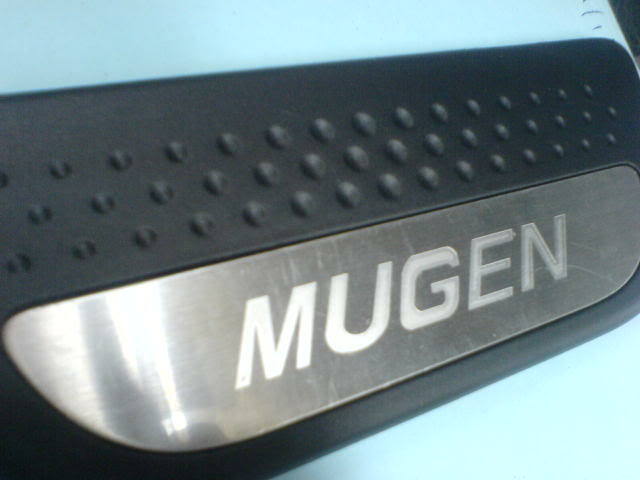 5) Used Mazda 3 SP foglight casing with bulbs. Selling for $80. 1) Brand new Sony XS-GTF1325B (5 1/4") speakers with tweeters. Selling for $48. 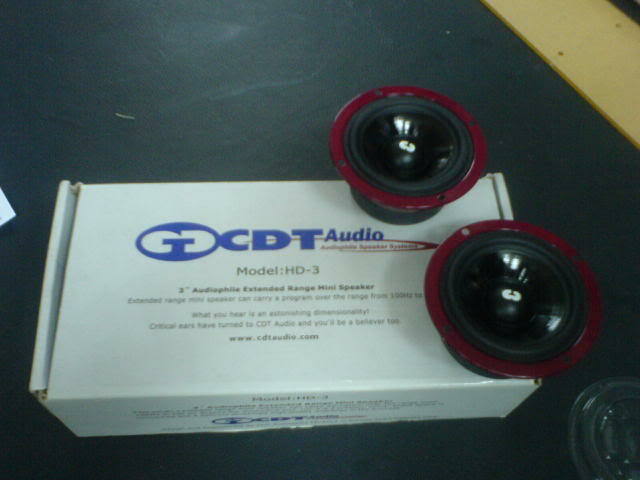 2) Brand new CDT Audio HD-3 (3") Mid Range Mini speakers. Selling for $240. 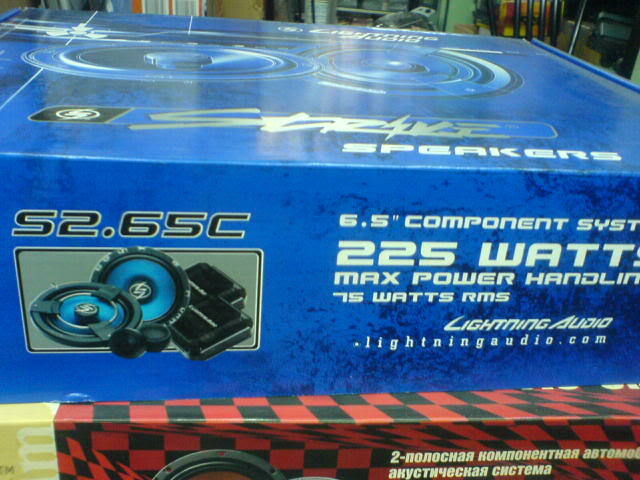 3) Brand new Lightning Audio S2.65C (6.5") 2 way component speakers. Selling for $180. 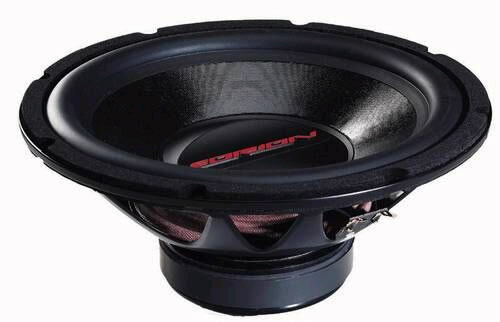 4) Brand new Earthquake FC6.2R (6.5") w way component speakers. Selling for $130. 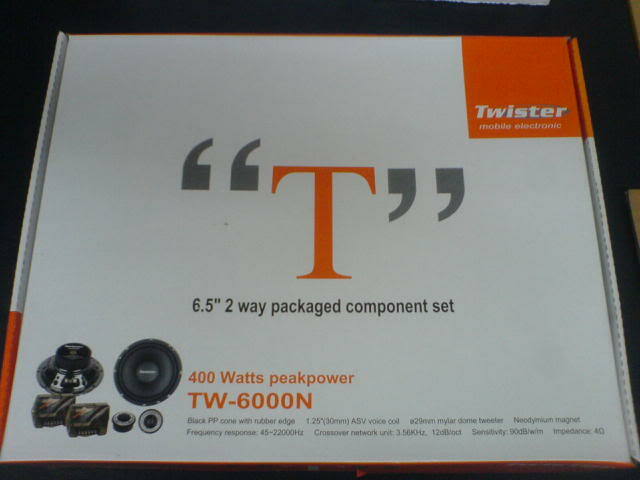 5) Brand new Twister TW-6000N (6.5") 2 way component speakers. Selling for $80. 6) Brand new Rodek RS-613 (6.5") 2 way component speakers. Selling for $60. 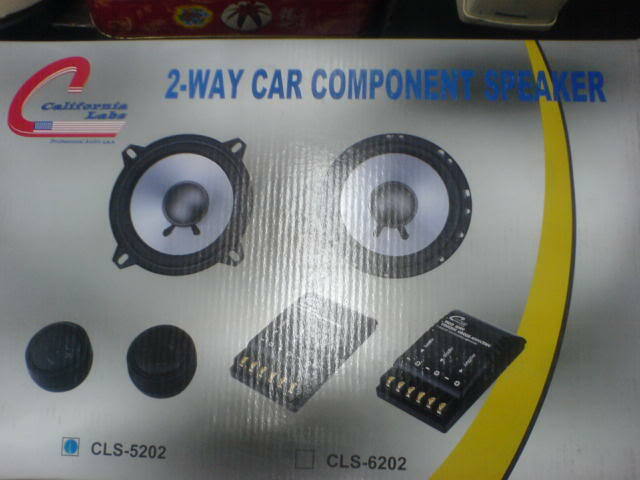 7) Brand new California Labs CLS-5202 2 way component speakers with tweeters. Selling for $60. 8.) Brand new Rainbow SLX 265, CSX 265 and SAX 265.20 2 way component speakers. 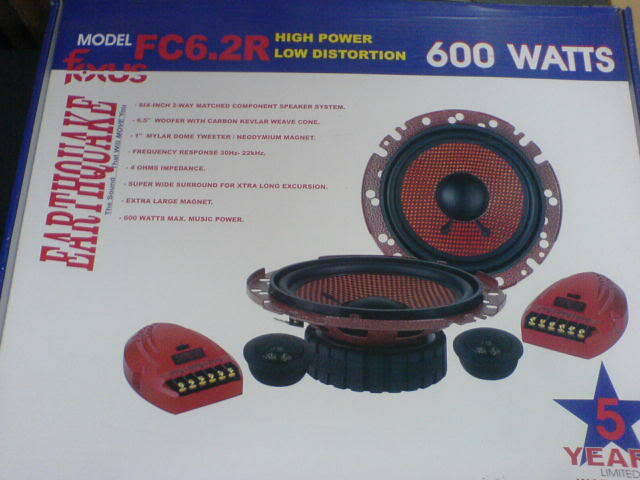 Now selling at a promo price together with Rainbow Coaxial speakers. PM me for more details. 9) Brand new Sansui BD-W1500A Subwoofer (500W). Selling for $150. 10) Brand new Orion C12D4 12 inch subwoofer with free box. Selling for $150. 11) Brand new Cerwin-Vega 104 10 inch subwoofer with free box. Selling for $110. 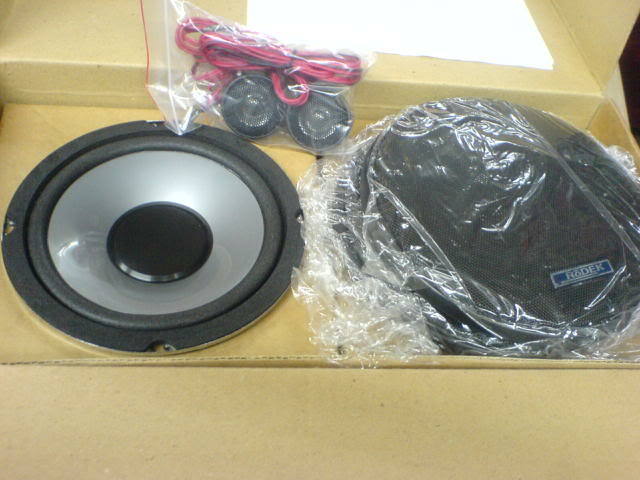 12) Brand new Cadence Z10W-4 10 inch subwoofer with free box. Selling for $120. 13) Brand new Lanzar (Max12) 12 inch subwoofer with free box. Selling for $120. 14) Brand new 52mm Autogauge Meters. Old school analog type with clear face and white base. Selling for $20 each. Left vacuum, oil temp & oil press. 15) Brand new Motorola "Motorokr T505" bluetooth in-car speaker phone and digital FM transmitter. Selling for $150. 16) Brand new Simota Super Spiral. Fitted to 77mm(3 inches) intake pipes. Selling for $50. 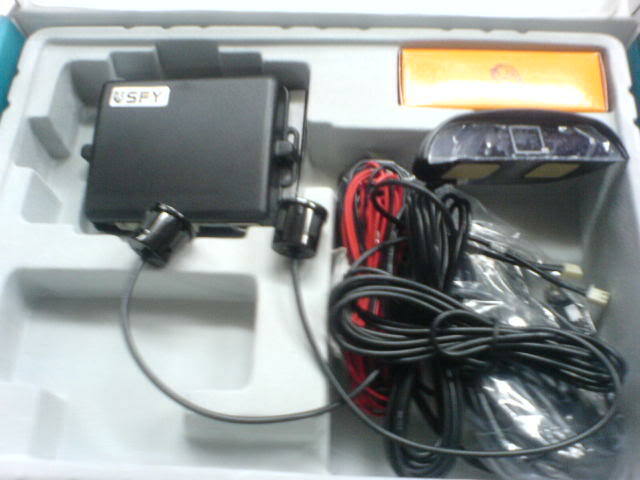 17) Brand new SPY 2 point reverse sensor. Selling for $40. 18.) 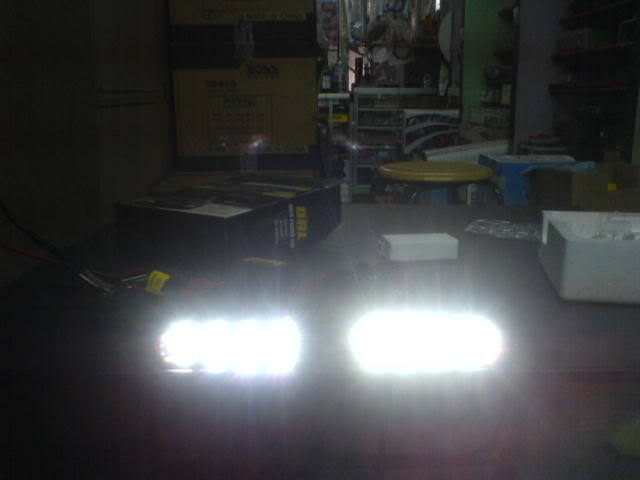 Brand new GTR style super bright LED lights (6000k). Selling for $120. 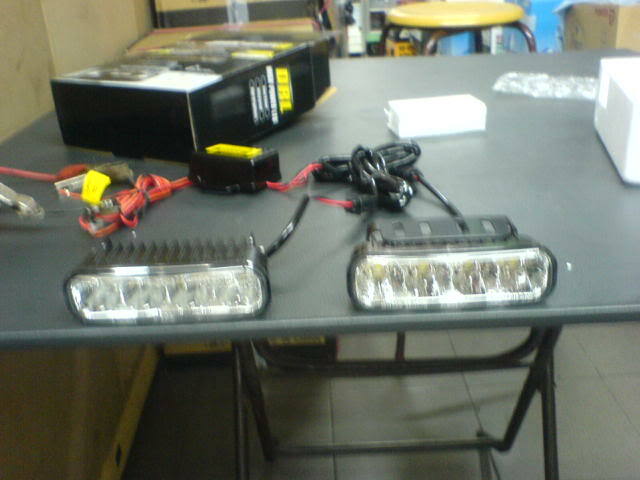 19) Brand new Honda Airwave EL Dial Lights together with switch. Selling for $60. 20) Brand new FD SUMMIT front lower 2 point bar. Selling at $110. 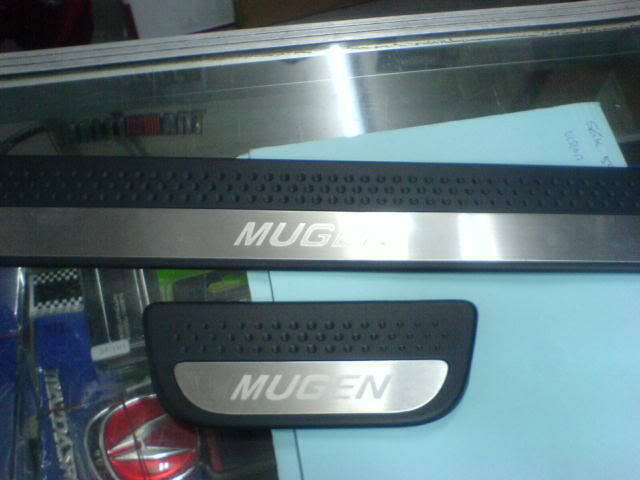 21) Brand new Mugen style scuff plate for FIT 08 GE model. Selling for $48. 22) Brand new Mazda 3 vortex generator. Selling at clear stock price of $28. 23) Brand new Mazda 3 scuff plate. Not those LED type. Selling for $38. 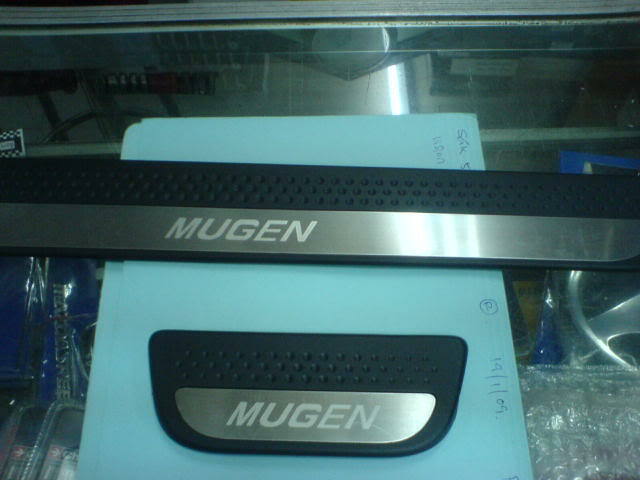 24) Brand new Boot Lip Spoiler for Mazda 3. Unsprayed. Selling for $90. 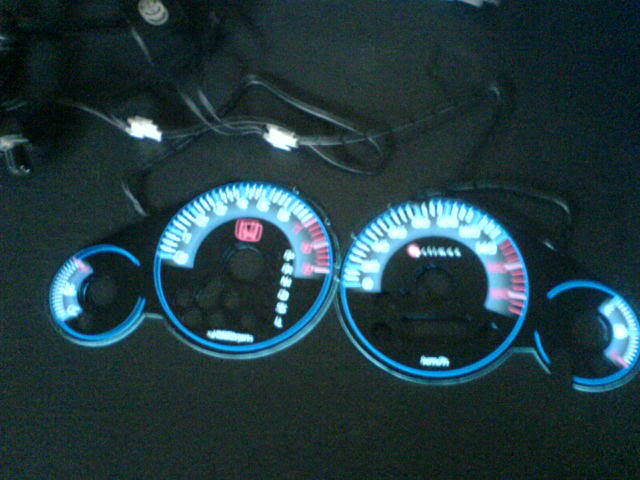 25) Brand new "X Carlink" Ipod interface for Mazda 3 & 6. Selling for $90. 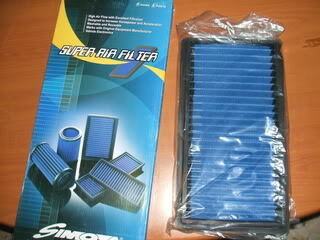 27) Brand new Simota drop-in Filter for Mazda 6 (03-06 version). Selling for $35. 28.) Brand new Pre-fl Mazda 6 Kenstyle front grille. Unsprayed. Selling for $30. 29) Brand new Mazda 6 (03-06 version) OEM FRP side skirts. Unsprayed. Selling for $70. All brand new items cash and carry. Int buyers pls PM or sms me @ Nine 0 6 6 8 9 4 8. Cheers. What you mean by stock cables bro? they are OEM cables from NGK..
Stock cables meaning it's the original cables that comes with the car. NGK do produce performance cables and usually there don't comes in Black colors. Yup they are not stock cables. They are OEM NGK cables. Blue in colour. » LOTS of Nike Elites - CHEAP U.S. SHIPPING 1 WEEK ONLY!